3. Remaining 2/3 portion: soaked in water for 2 hours (or blanch rapidly in boiled water) to remove garlic ‘glue’ (蒜膠) which would darken easily in heated oil. 4. Mix together Silver and Gold garlics to give a 3-Dimensional taste of garlic paste. 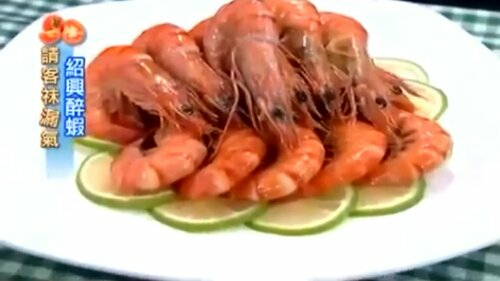 Look at the color of the prawns. They are cooked just nice. 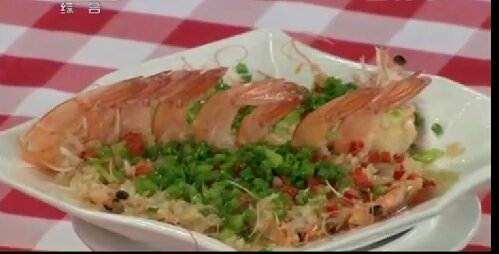 The color would be dull if over-cooked. 1. 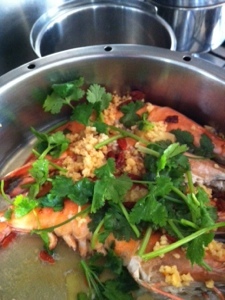 Boil the raw prawns in ‘lemon’ water (to kill the fishy smell) till they float. 2. 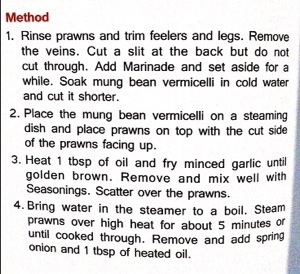 Turn off the fire and let the prawns simmer for 1 minute. 3. Transfer them quickly to iced water mixed with Shaoxing wine. 4. Soak for 20 mins. 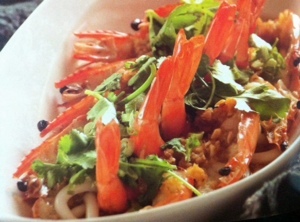 The hot prawn meats absorb the wine under rapid cold temperature (入味).